No matter how much you try, a stain is inevitable when working in a kitchen. And that can be a problem for professional chefs as a big part of wearing white is to represent cleanliness in the kitchen and food that you’re preparing. 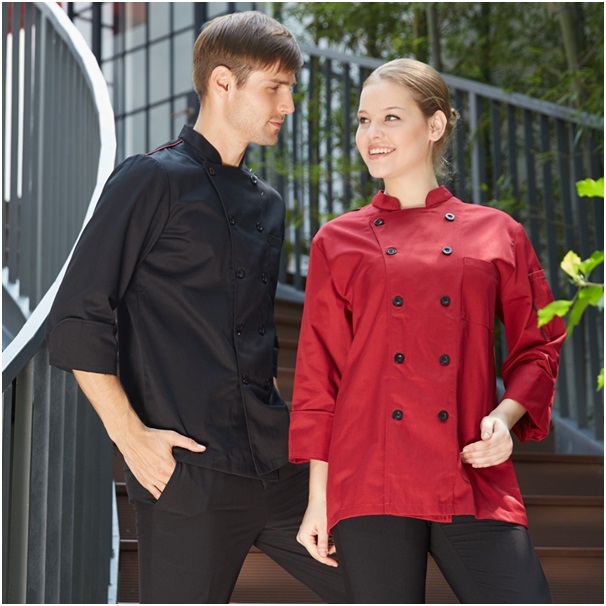 Whether you have the best chef apparel of pure cotton or polycotton blend, it can be difficult to avoid stains. In fact that is why chef jackets are white, it can just be washed away with no concern over fading or color running. Stains can come from anything, like tomato sauce, chocolate and frying oil. By the time service is complete your jacket has become adorned with a rainbow of colors even if you are careful. So, one thing to help keep your clothes cleaner is to wear an apron. There are a variety of styles to choose from and really be quite funky if that’s your thing. It’s a fun and easy option to help keep your chef whites clean. One thing to always remember when trying to get out a stain is to never use hot water but rather warm or cool water. This is because hot water will further cement the stain in the fibers of the jacket. Then it’s time to scrub it out, remember that although you may be frustrated and want it out, don’t scrub too hard as that will also force the stain into the material further. Bleach may seem like the obvious choice when it comes to whitening your jacket, however only use it as a last resort! This is because bleach will weaken the fibers of your jacket and even turn it yellow or grey. Also, once you’ve washed your jacket don’t put it in the dryer, but rather hang it out to dry. Other options to try when trying to remove stains is to carry around stain-remover wipes with you or a detergent pen which can help when you’re on the go and want to quickly remove a small mark. If you do have the time, the faster you try treat the stain the better. So, use a damp cloth with salt or soapy water to break down fat molecules.